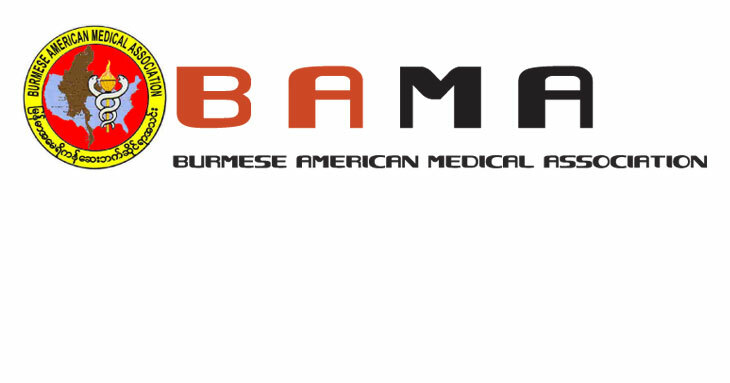 I am honored to serve as president of Burmese American Medical Association for 2019. Your continued support is appreciated. 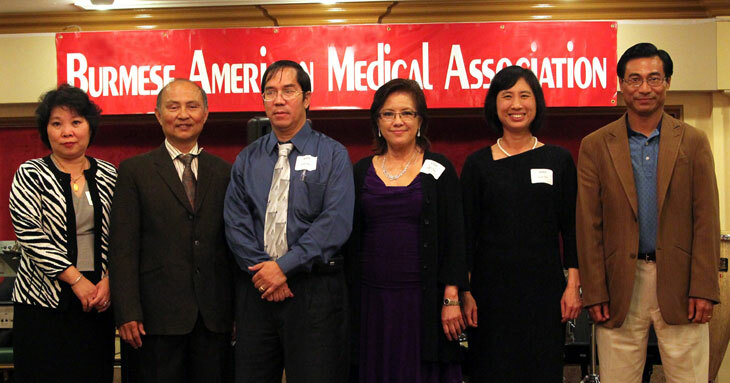 Thank you also to outgoing president Dr. Kyaw Moe, Board of Directors, Advisory Committee, Executive Committee, sub-committee members, families and friends for their time and dedication to our association. I would like to ask all audience to support BAMA mission in all activities such as community education, residency seminar, mock interview, and Myanmar Medical Mission (MMM). Our sincere appreciation goes to many people in the audience and friends in Myanmar in helping Myanmar Medical Mission. Additional recommendation by Myanmar Consulate General U Aung Soe Win for United States Medical License Status of MMM doctors is very much appreciated. BAMA successfully finished two health education talks this year. I will continue this mission for the future. 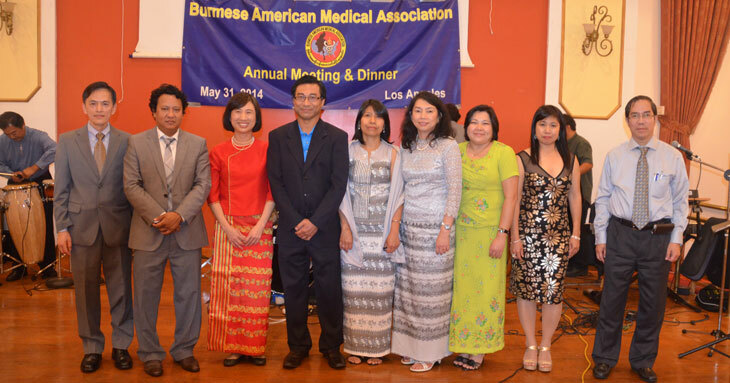 I will recruit new members from all branches of medical professionals, provide volunteer healthcare and health education services to our communities here and back in Myanmar. With this team effort and active volunteer activities, BAMA is flourishing. 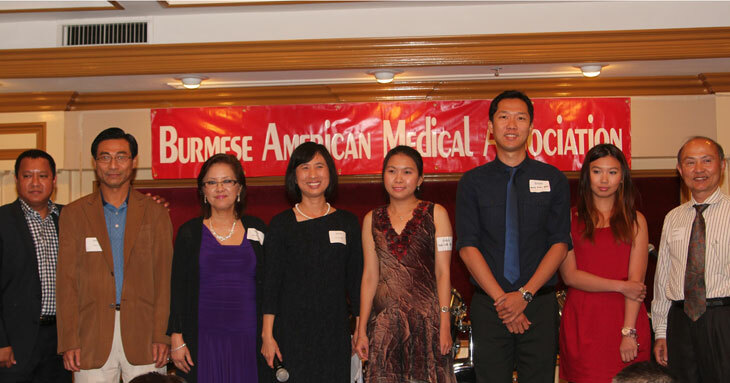 As more Myanmar doctors are matched into residency training programs in United States, new generation physicians are encouraged to join volunteers at the Executive Committee and subcommittees to carry on BAMA mission. I would like to recognize the donations and wonderful support to the Myanmar Medial Mission by BAMA members, friends who accompany mission, friends in Myanmar. The mission is accomplished because of you. BAMA will continue to be successful with this level of enthusiasm, unity, and love. We gave it all and everybody is a star at the mission.